Artist of Pennsylvania Ballet in Christopher Wheeldon’s "For Four." The Pennsylvania Ballet will dazzle audiences at the Merriam Theater this April as it presents Grace and Grandeur, a mixed repertoire program featuring three ballets. The program includes Artistic Director Angel Corella’s restaging of Marius Petipa’s Paquita, Christopher Wheeldon’s For Four, and George Balanchine’s Theme and Variations. There are five performances scheduled between April 5 – 8. Tickets are available now. The three-part program kicks off with Paquita, a widely celebrated example of 19th century classicism that showcases the female dancers’ extraordinary footwork. 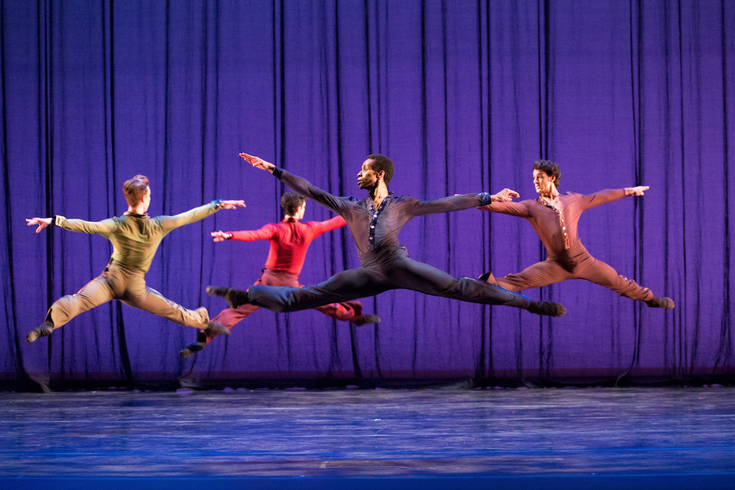 The second ballet, For Four, highlights the strength and artistry of male dancers through a range of styles. The program concludes with Theme and Variations, a tribute to the grandeur of ballet that features quick, playful changes of direction, unexpected musical accents and beautiful costumes.